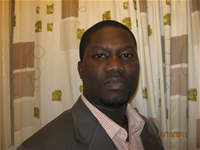 Kofi is doctoral student and teaching assistant at the Department of Sociology, University of Essex. He holds MPhil in Criminological Research degree from the University of Cambridge. Prior to joining the University of Essex, Kofi worked with the British Army and the private security sector in the United Kingdom. His research interests are in fields of corruption, policing, trust and confidence in criminal justice systems, and criminal justice reforms.